The reaction to Kevin Pietersen's announcement of his retirement from limited-overs internationals has been varied to say the least. Comments have ranged from the cynical “this was all about the IPL” to “excellent decision”. It is rare that people defend Pietersen but in this case, though as an England fan I am saddened by his decision, I do see his point of view. Firstly, England's upcoming ODI schedule is ridiculous; five pointless games against Australia after the West Indies series, five more against South Africa and, despite the ODIs played last year in India, England play another five when they go there again this winter. The Australia games are particularly galling as they prevent another Test being played between the best two teams in the world. Pietersen has a young family, so understandably he wants to spend as much time with them as his job allows. Furthermore, Pietersen stated that he was happy to play the World T20, but the ECB's instringent player availability policy meant that his hand was forced. The ECB do not like players picking and choosing games to sit out, they would rather players go the whole hog and miss entire series. There was a definite scent of double standards as Andrew Strauss has sat out T20s for more than three years, so why can't Kevin Pietersen sit out ODIs? Pietersen has not had a good relationship with the ECB following his removal as captain and his recent fining for his infamous tweets about Nick Knight could have been the straw that broke the camel's back. 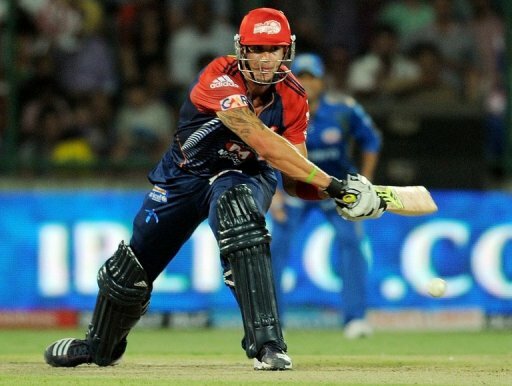 A common theme echoing around the social media sites is that Pietersen's decision was determined by the IPL. The point seems rather invalid given that the IPL has just ended, the tournament is six weeks long and Pietersen will not be able to play a huge chunk of it because of his Test commitments, so his retirement from the limited-overs formats does not change anything in that regard. Hugh Morris described the timing of Pietersen's decision as “disappointing” and I tend to agree, with the World T20 in sight it throws England's plans into kilter. The promising-looking opening partnership with Alastair Cook in ODIs has also been severed just when it seemed England had found their long-awaited replacement to Marcus Trescothick. The benefit is that it will give another opportunity to one of England's good young players, one of them being James Taylor who, with impeccable timing, smashed a brilliant century. Pietersen will be much-missed, but all of England hope that he will continue to be a formidable force in Test cricket for years to come.